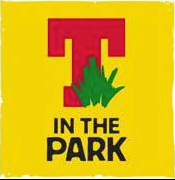 After last year’s 20th year sun-kissed celebrations, T in the Park is back and set to enter its third decade with another big weekend featuring some of the world’s biggest artists. DF Concerts and founding partner Tennent’s Lager recently announced a cast of acts which are Balado-bound this summer, to entertain the 85,000-strong daily crowd over 11th – 13th July. Homegrown heroes Biffy Clyro and Calvin Harris will close the Main Stage at the festival for the very first time, becoming the first Scottish acts to do so in 13 years with what will be their biggest ever shows on home soil. Biffy Clyro’s 10th Balado outing will see them become the artist which has played the festival the most times. Pharrell Williams is sure to be another highlight, and DF Concerts have also today announced a further array of acts which will join previously announced Arctic Monkeys and Paolo Nutini as well Biffy Clyro, Calvin Harris and Pharrell Williams on the T in the Park 2014 bill. The festival will host more music than ever before, with Friday extending to a full day of performances for the first time ever from 12pm, and on the Saturday night the party continues right through to 1am, plus camping tickets and Saturday and Sunday day tickets will be available at 2013 prices. With a full day of performances on Friday, the day ticket will be priced as per the other day tickets.